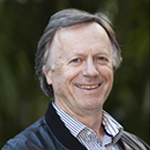 Dr. Campbell graduated from Adelaide University in 1978 and embarked on “a journey of discovery”, working in five states of Australia over the next five years to gain the skills necessary for rural medicine. Dr Ian Broom spent his formative years in Manchester, England before moving up to Scotland in 1977, graduating with a Science degree in Anatomy and Experimental Pathology from the University of St Andrews in 1981.Wondering what on earth he would do with this, he decided to pursue a degree in Medicine and trundled all the way down to Cardiff to graduate from the University of Wales College of Medicine in 1984. Dr. Kay Win graduated from the University of Medicine (1), Yangon, Myanmar in 2007. After a few years of clinical experiences, she moved to Australia in 2010. 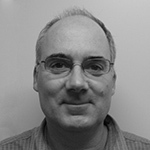 Dr Greg Hayes has been working with CAMC as a locum for over eight years. Before that he had a private practice in Beaumaris for twenty years. When his four children became “independent” and his wife, Lynda, returned to nursing after Managing his Practice, Greg decided it was time for a seachange of sorts.Over the eight years CAMC has shared Greg’s expertise and unique sense of humour with many outback NSW and NT communities. Greg has been a Locum at Tallangatta, Mallacoota and Kintore to name a few. 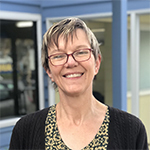 Dr Bodenstein was born in South Africa in a small mission hospital where her father was the only doctor, so it is not surprising that she always aspired to a career in medicine. However, she first did a BA degree, went on to study towards a diploma, then completed an Honours degree in Journalism.Her first job was as assistant editor of a computer magazine, which somehow led to a lateral career move to become a COBOL computer programmer. Dr Tadrous graduated from medical school in Egypt in 2005. In 2007 he finished his internship and started working as a rural GP in Egypt until early 2009. In January 2009, he moved to Australia and a job opportunity in Mount Gambier, South Ausralia. He worked as a GP for 5 and 1/2 years. He moved to Gippsland as his wife was offered the role of Medical Officer in Bairnsdale and they are loving the move to the area. Together they are raising a girl in our wonderful seaside town. Dr Tadrous' special interest in medecine is 'General prevnentative medicine', 'palliative care' and 'sports medicine'. His interests in life is swimming, soccer and travelling and he wants to learn fishing, so please give him some tips next time you're in to see him. 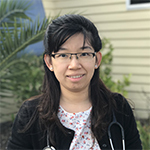 Dr Lwin grew up in Myanmar (Burma) and graduated from University of Medicine 1 in 2007. After a few years of clinical and GP experience, he moved to Australia in mid 2010. 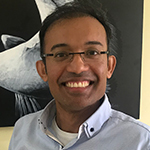 Prior to General Practice training, he worked as a medical officer in Alice Springs Hospital, NT, for more than 3 years, where he gained experience in broad spectrum of chronic diseases, obstetric and gynaecology, anaesthetics and rural health. 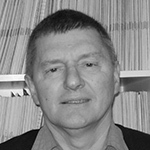 Dr Jannes Malan was born in South Africa. He attained his Medical degree in 2010 from The University of the Free State in South Africa. 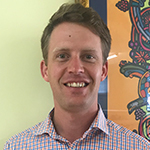 He has a special interest in emergency medicine and rural GP work and is currently a registrar with ACRRM. He has been in Australia since December 2017. 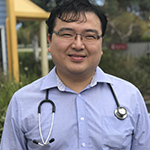 He has worked as a rural doctor in NSW for 18 months before coming to the beautiful East Gippsland area to pursue his further studies. 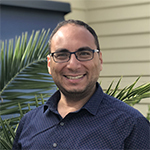 He started with CAMC in February 2019 for a seven-month community primary care rotation. Dr Singh is a GP registrar. Dr Singh's interests include general medicine with a special interest in skin and emergency medicine. In his spare time, he is involved with teaching medical students at Monash University Rural campus.